100% Guate? 100% Guatemalan! We knew nothing of the country before we arrived to its border but now having spent over a month here we feel that we have gone through a “Guatemorphosis” of sorts. Though we certainly stand out with our milk faces and our western clothes, we have been accepted into the population as voluntarily Guatemalans. We eat, work, and play like the Guats. We left Caye Caulker behind and headed back towards Sarteneja where we had left our truck. We took a quick pitstop in Ambergris Caye as we waited for the next ferry. 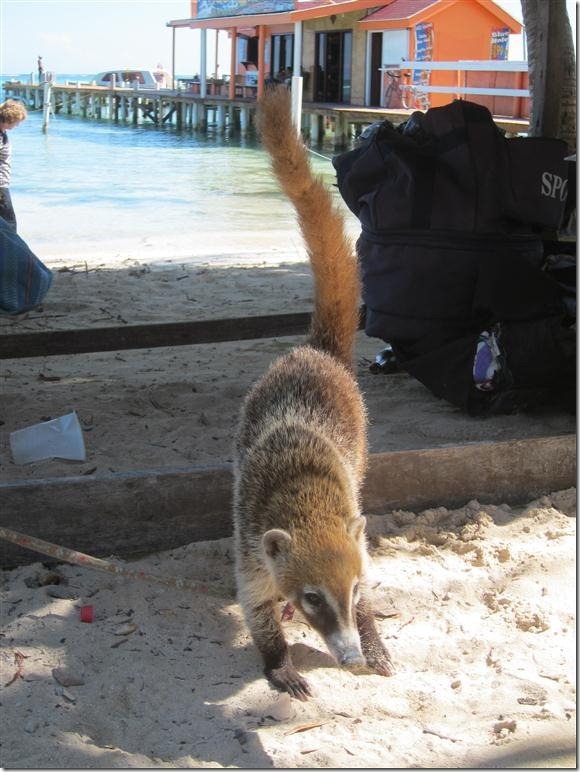 We made friends with a Coatimundi (You may remember these guys as “Crock Snacks” in Mexico. Now I feel kinda bad, they are awfully cute. Yesss! Been waiting for this post just so I can use this tacky title. We added a “Gear Review” section to the site, It is a little thin right now but check it out if you are planning your own trip and need some ideas on what works and what doesn’t. If you do decide to order something we get a small kickback from Amazon, every little bit helps. We have also started up a photo gallery where you can purchase photos, magnets, postcard etc. if you are interested. After a great night in Bakalar, Mexico we headed south to the Belize/Mexico border. Unsure of what to expect we checked out our friends “Life Remotely” blog who recently crossed the border and posted a great detailed report explaining the crossing in detail. Hello again ladies and gents! 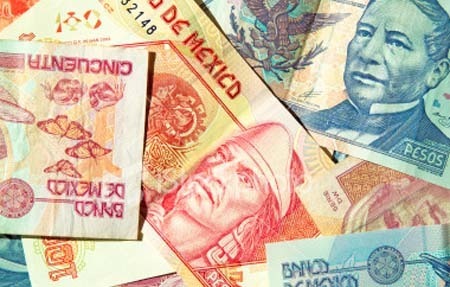 Yet another month has come and gone south of the border and it is time once more to take a look at the expenses for the month and see what the damage is.